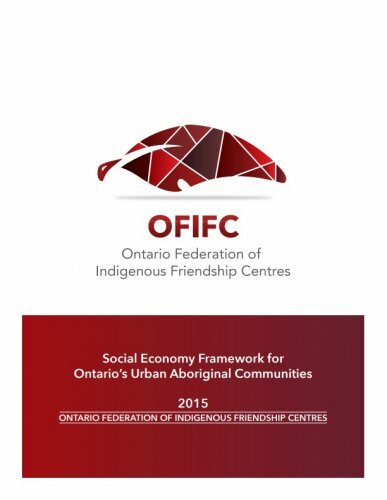 Social economy as a term may be relatively new to some Friendship Centre communities; however, Ontario’s Friendship Centres and the broader Friendship Centre Movement have been operating within the social economy for decades. As it pertains to Friendship Centres, the current economic system consists of the public sector, the private sector, and the non-profit sector. The social economy fits within the non-profit sector, with some overlap with the private sector. The social economy is comprised of those organisations within the third sector that operate on the principle of reciprocity, and use market mechanisms to achieve social, cultural, and or environmental goals. As such, any earned income activities implemented by Friendship Centres are within the realm of the social economy. Examples of social economy activities include social assets of community organisations, such as housing and child care facilities; social enterprises, operating as cooperatives or revenue–generating programs of non-profit organisations; and credit unions. A more recognizable term used in recent history may be economic development. However, this differs from the social economy both in scope and approach.